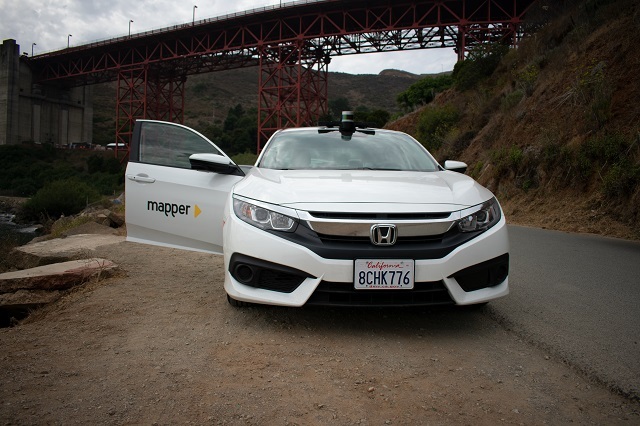 San Francisco-based company Mapper is another startup looking to work in the development of self-driving cars. Unlike Waymo or Drive.ai, Mapper isn't creating semi-autonomous vehicles of its own. Instead, the company focuses on gathering map data that it can then sell to other developers. In October, Mapper completed scanning the entirety of its hometown and launched its full-fledged service On-Demand Maps. The Drive spoke with Mapper CEO Nikhil Naikal to get a deeper impression of Mapper, On-Demand Maps, and the company's plans going forward. Naikal has spent more than 12 years working in robotics and augmented reality technology, getting his start by participating in the DARPA Urban Challenge for automated military vehicles. He also worked on an early autonomous vehicle project run by Google and for manufacturing supplier Bosch. In 2016, he decided to strike out on his own and founded Mapper in Washington D.C. After operating in D.C. for a year, the company then moved to California and got to work mapping out San Francisco. To gather the data used to create its primary product, the company utilizes special hardware mounted to scout vehicles. Mapper has developed two different types of scanners, the first of which it calls the Alpha unit. 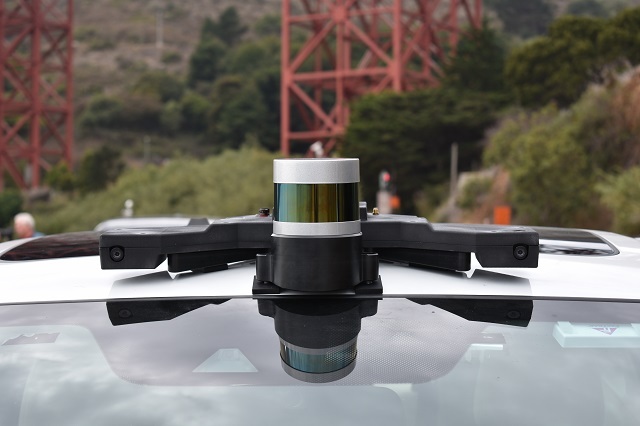 This 360 degree camera can be magnetically fixed to the roof of a car. It then runs off of the standard 12 volt power outlet found in most vehicles. Mapper's second Beta unit is much cheaper than its Alpha counterpart, but also comes with fewer bells and whistles. The Beta hardware amounts to a simple front-facing camera that can attach to a driver's rear-view mirror. These scanners and their host vehicles are used by Mapper to gather data on streets, traffic, and road signs. The company uses that data and creates what it calls machine maps, which differentiate between static objects like buildings, moving objects like cars and pedestrians, and semi-permanent objects such as traffic cones. These machine maps can then be used to improve the behavior of semi-autonomous vehicles and automated robots. Car manufacturers can also utilize this data to improve production vehicles already outfitted with smart driver assists. When asked to summarize his company's mission, Nikhil Naikal told The Drive, "The self-driving industry is in a development phase. There is a massive market, which is why the companies are working so hard. We are becoming a catalyst to enable other AV companies to launch their product. By creating the infrastructure where our customers need, we can help speed up the process of autonomous vehicle development." Naikal also explained to The Drive how its new service, On-Demand Maps, operates. It starts with an autonomous vehicle developer, delivery company, or any other creator of connected devices that may need a machine map. These companies form a partnership with Mapper to scan a stretch of highway, a grid of city blocks, or a neighborhood, depending on the company's needs. Mapper then sends out freelance drivers outfitted with its hardware to travel the roads and gather data. After the area has been completely scanned, the company will continue to send drivers periodically in order to keep its map up to date. Mapper currently has drivers ready to be deployed in Tokyo, Taiwan, Germany, the U.K., and across the U.S. In the future, the company hopes to be capable of scanning any of the 50,000,000 miles of public road across the Earth. It then plans to move onto indoor areas, where machine maps can benefit the field of robotics, creating a full offering of services for customers in an array of technological fields that vary from mobility to manufacturing and more. Passengers will be shuttled to designated areas of the city in the back of Mercedes-Benz S Class sedans. The new 60-acre testing facility is set to open in October.